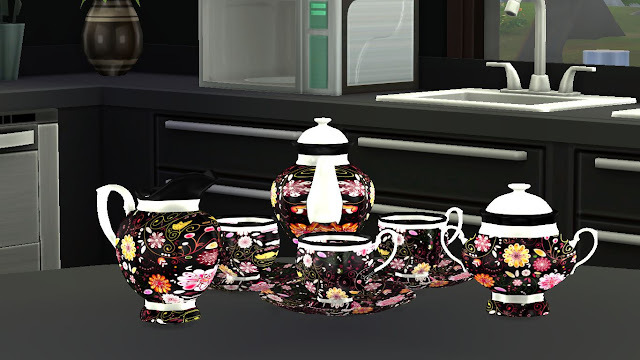 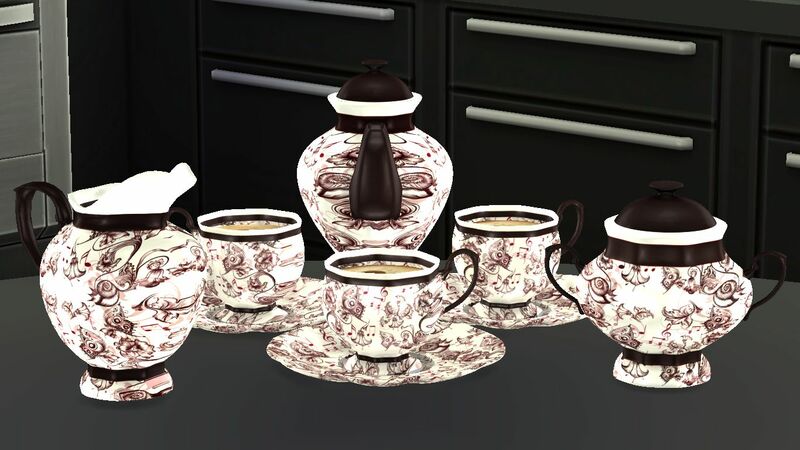 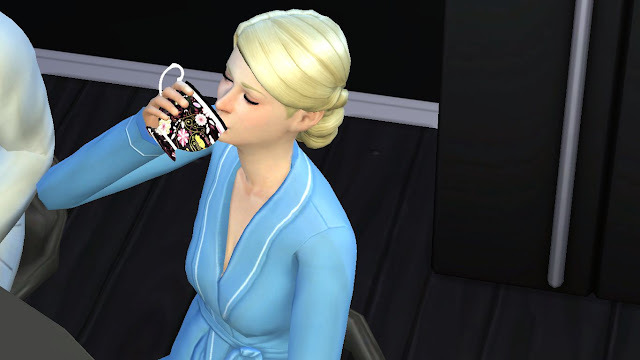 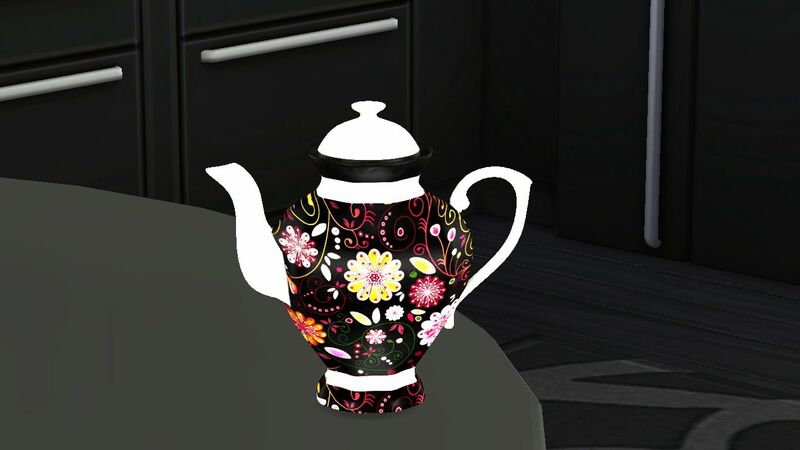 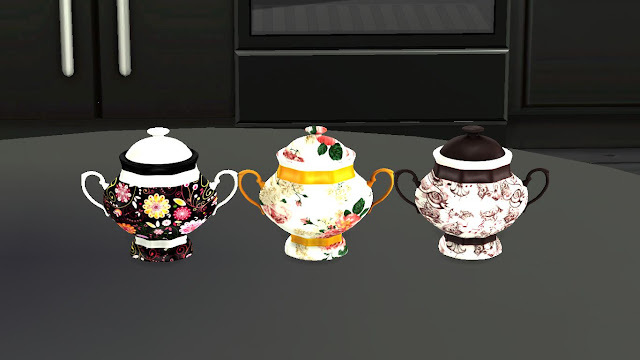 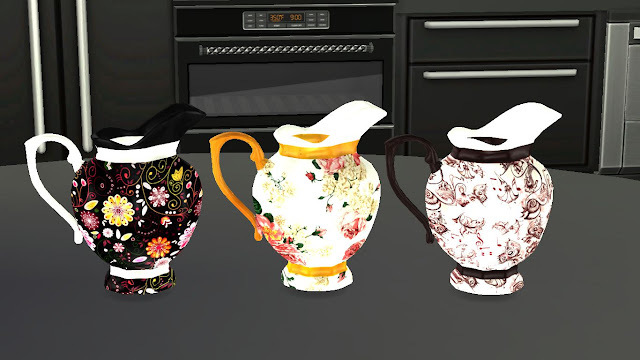 The idea of creating a functional tea set for Sims 4 hit me when I was playing Sims 3 and my Sims were having a morning tea using the Sims 3 Store Tea Set.As Sims 4 doesn't have any official tea set related gameplay yet,so I could make the Teapot and Teacups functional only.I didn't convert the Sims 3 store tea set meshes for this set,this set contains new meshes created by me.There are 5 objects in this set-Teapot,Saucers,Teacups,Creamer and Sugar Bowl.The download link is given at the end of this post. 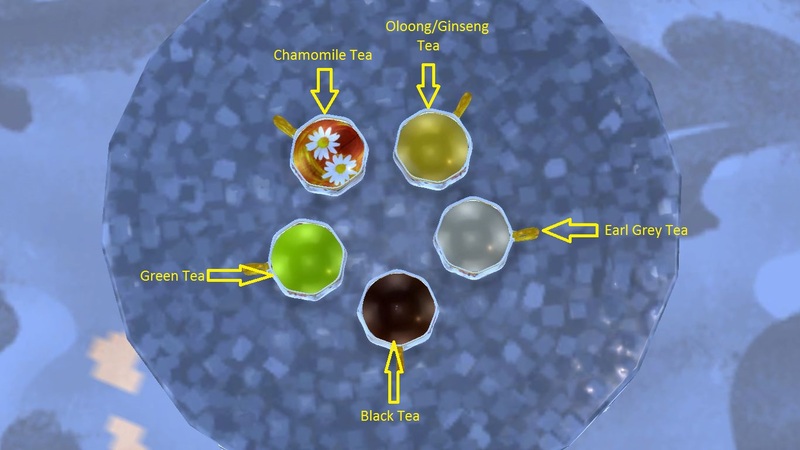 Note: You must read the description with each item of this set written below because I described instructions on placing and using these items in your game properly. 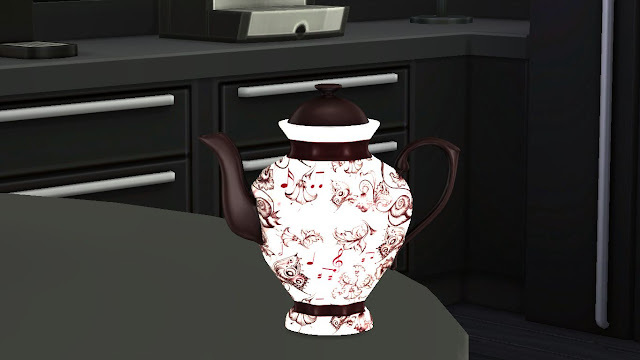 Functional Teapot will be found under Appliances in Buy Mode.It comes in 3 variants.Your Sims can brew tea using it just like they make tea using base game Tea Magic Personal Brewer.Functional Teapot can only be placed on counters.But you can make a nice tea set setting like below on Breakfast Bar counters. 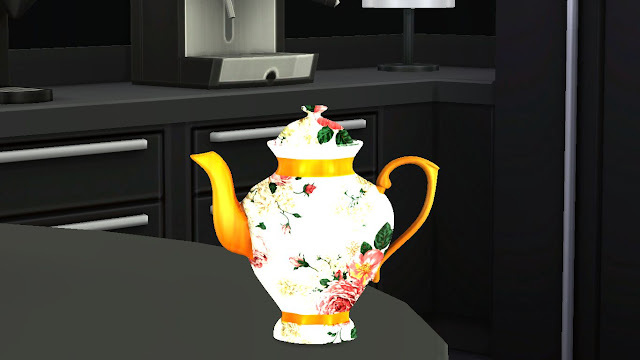 Decor Only Teapot will be found under Decor>Plants in Buy Mode.Decor Only Teapot is non-functional,just for decoration purpose only.It also comes in 3 variants.You must use "bb.moveobjects on" cheat to place this Teapot on tables or counters.Use "9" and "0" on your keyboard to adjust the height of this Teapot while placing it on the table/counter.Use "Alt" key on your keyboard to place it on a table/counter properly. 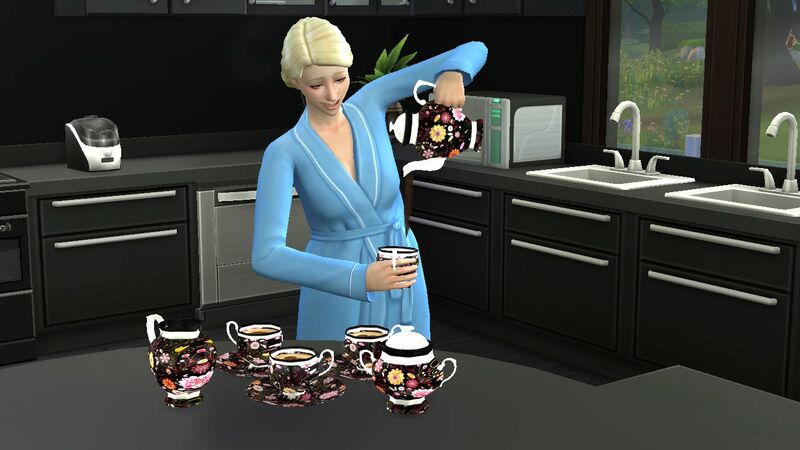 The Functional Teacup is a Default Replacement Mod which will replace all the base game tea and coffee mugs.It comes in 3 cup texture variant,5 tea texture variants and 3 tea/coffee latte variants.I've put total 11 Functional Tea Cup mod files in a separate folder called "Default Replacement Cup Mod".If you don't want to replace default EA tea/coffee mugs,just omit this folder. 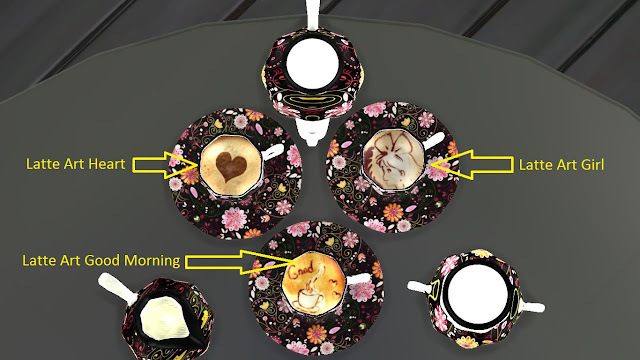 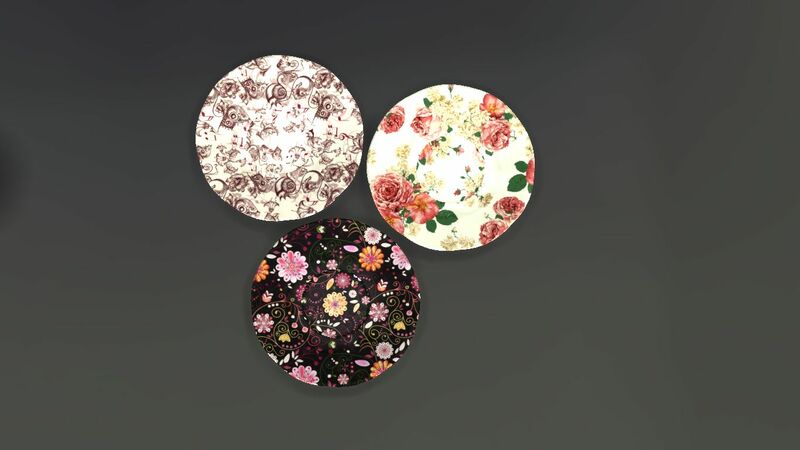 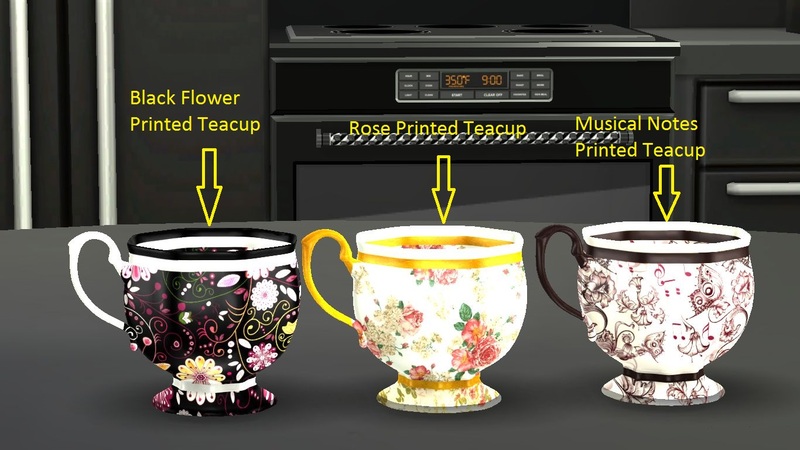 The Rose Printed Teacups come with the tea textures shown in the picture below.Each tea texture has separate mod file.You can only use one mod file in your game at a time.For example you can only use the Rose Printed Teacup with Black Tea texture in your game at a time and when your Sims will brew any type of tea/coffee which comes in base game tea/coffee mug (not the Sims 4 Get Together ones) they'll have the Rose Printed Teacup with Black Tea in it.If you want to brew tea in Black Flower Printed cup,you have to remove the previous mod file and copy the specific Black Flower Printed cup mod file to your Mod Folder. Both Black Flower Printed Teacup and Musical Notes Printed Teacup comes with tea textures shown in the below picture.Each tea texture has separate mod file.You can only use one mod file in your game at a time. You can delete the Functional Teacup mod file or replace one type of Teacups with another at any time and this won't corrupt your save game containing prepared tea or coffee,they'll be simply replaced with your chosen teacup or EA mug if you don't put any other teacup mod file back. Decor Teacup will be found under Decor>Plants section in buy mode.It has all the cup and tea/coffee/latte textures of The Functional Teacups.Decor Teacup is non-functional and your Sims can't drink from it,it's for decoration purpose only.You must use "bb.moveobjects on" cheat to place this Teacup on tables or counters.Use "9" and "0" on your keyboard to adjust the height of this Teacup while placing it on the table/counter.Use "Alt" key on your keyboard to place it on a table/counter properly. 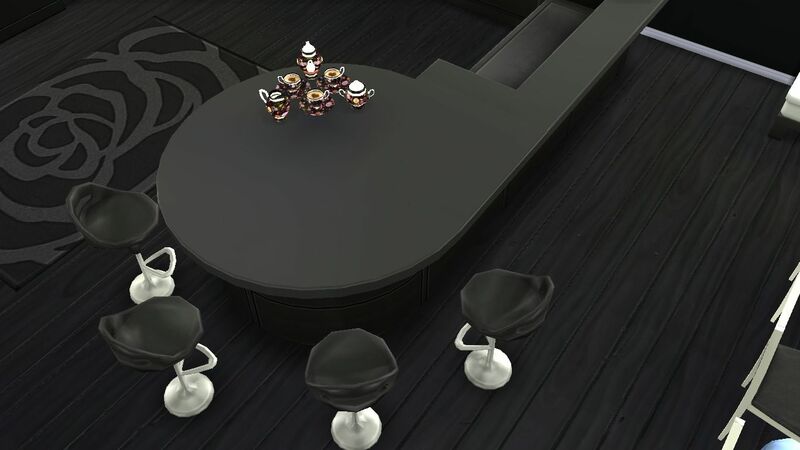 These will be found under Decor>Plants section in buy mode.You must use "bb.moveobjects on" cheat to place them on tables or counters.Use "9" and "0" on your keyboard to adjust the height of them while placing them on the table/counter.Use "Alt" key on your keyboard to place them on a table/counter properly. For installing the items of this set,extract the downloaded zip file.Copy all the files of the "Custom Contents File" folder to My Documents>Electronic Arts>Sims 4>Mod folder.Copy and Use Only One mod file of "Default Replacement Cup Mod" folder at a time to My Documents>Electronic Arts>Sims 4>Mod folder. 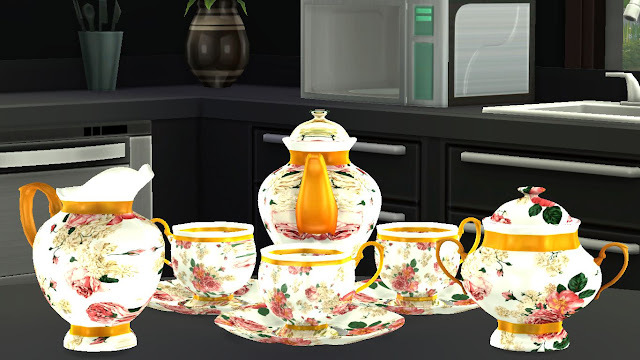 Then start your Sims 4 game,you will find the items in their respected categories.You can also try writing SanjanaSims in search bar of the buy mode,it should bring up all the objects of this set.